I originally made these candles for Bumble (Sleepless in Laurel Canyon) – she has subsequently moved back to England to a charming cottage – a cottage so charming in fact it doesn’t look real. Think the cottage Cameron Diaz/Kate Winslet live in in THE HOLIDAY – only prettier. Pure Beeswax is the only fuel that can emit negative ions into the air, in the process purifying the air by burning positively charged ions like dust and pollen… burn a beeswax candle while you are working, meditating, or before you drift off to sleep and see if you don’t notice a difference. Pellegrini’s book is inspiring and fun – never taking herself too seriously she encourages you to get out into the great outdoors, get dirt under your fingernails gardening, pick a lock, change a tire and generally do a lot of girl scout projects for grown-ups. Beeswax candles are nature’s solution to getting a better night’s sleep – another sleep gift for mom to add to my mother’s day post. 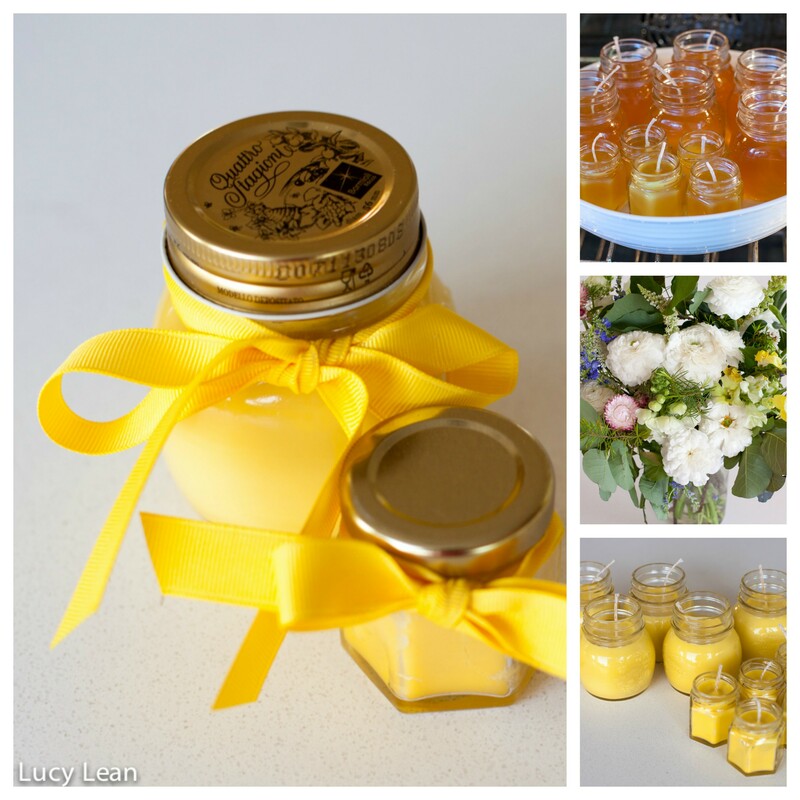 A simple solution – bees remedy for ZzZ’s. 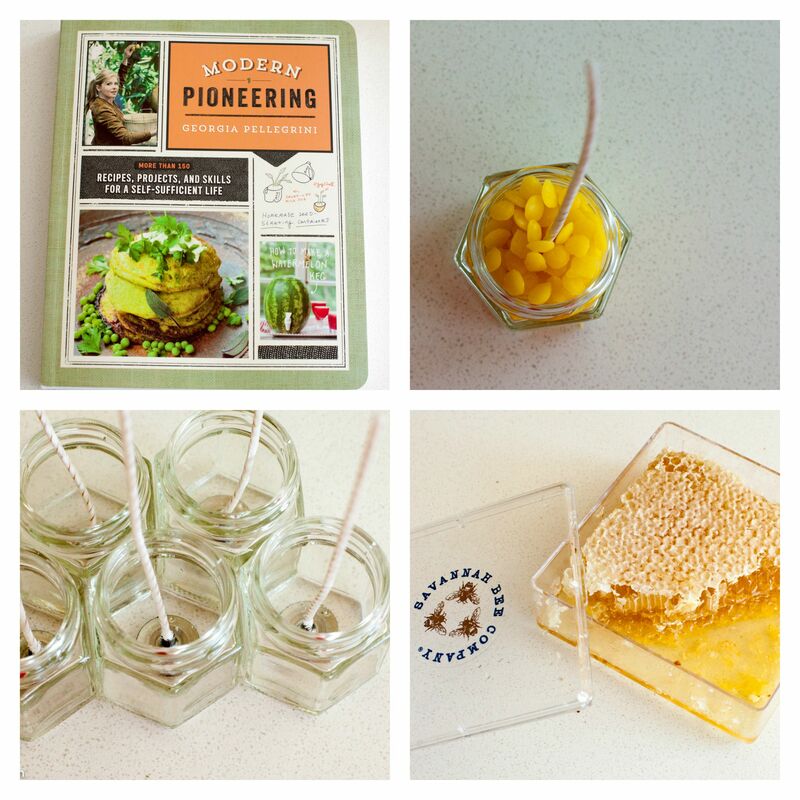 I have never made beeswax candles so it’s also another thing to add to my ever growning list of A Thousand Things – in fact I will be using Modern Pioneering in the coming months to do many more fun projects. 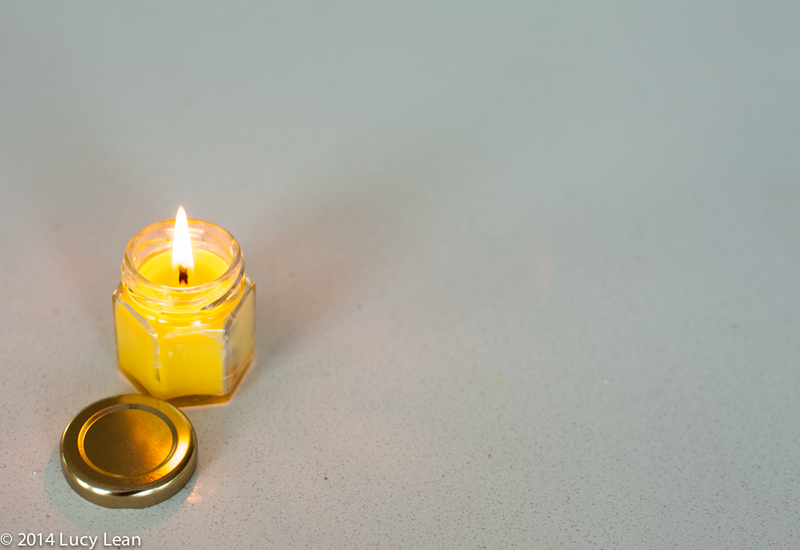 Making beeswax candles is a no mess craft project that is indeed easy – although my beeswax took a lot longer to melt in the oven than Georgia’s suggested 20 minutes. This is definitely a slow craft – but a really satisfying one to make, give and receive. 1. Heat the oven to 200 F.
2. Trim the wicks to just longer than the height of the jars. Glue wick to the bottom of the jar in the center. 3. 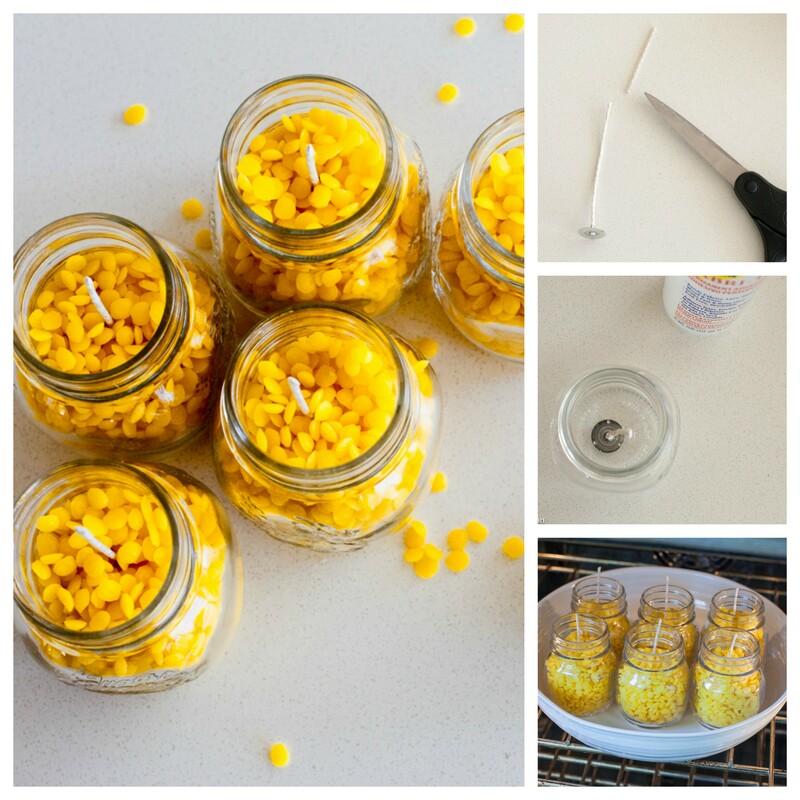 Fill jars with the beeswax pellets. 4. Place the jars in an ovenproof dish and put in the preheated oven. 5. Check to see if the wax has melted after 20 minutes. Keep checking until the wax is liquid. Mine took almost an hour to melt to a beautiful honey colored liquid. 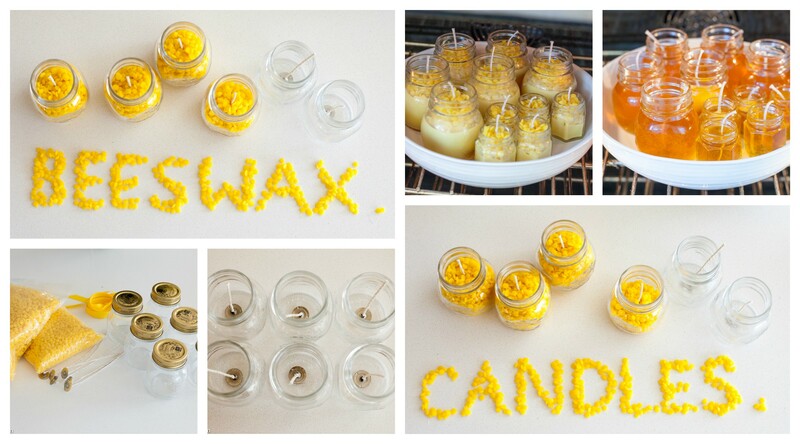 Add extra pellets as the beeswax melts until the jars are almost to the top. 6. Remove jars from the oven and check that the wicks are centered as the wax cools. 7. When wax has begun to cool to a primrose yellow return to the oven. Turn off the heat and let the candles and oven cool. 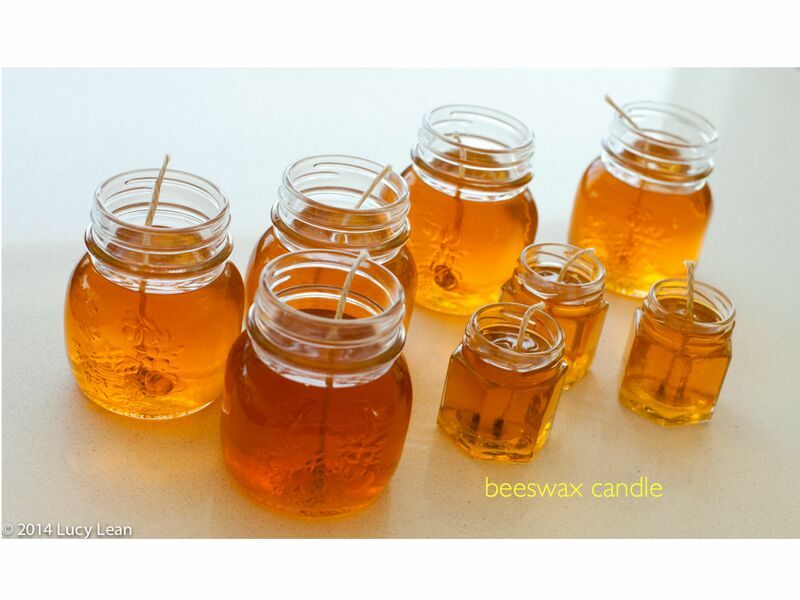 This prevents the beeswax from extreme cracking – which happens if the candles cool too quickly as the wax shrinks away from the cooling glass. Alternatively you can top off the jars with a little extra wax to fill in any cracks and smooth out the top but once you light the candle the cracks disappear anyway so don’t get too caught up in trying to fill them in. 8. When the candles are completely cooled trim the wicks, put lids on, add a yellow ribbon and some stickers and you have the perfect homemade gift. Light a candle, say a prayer, relax, meditate, show gratitude and know that your air is being purified with every breath you take. Sweet Dreams – although I’m a little concerned about leaving a candle burning into the night – perhaps place it in a saucer of water just to be on the safe side.